MongoDB is a different kind of database. Unlike traditional relational databases like SQL Server and MySQL, it stores data as JSON-like documents. While MongoDB's NoSQL approach does yield some advantages over its RDBMS competitors, it also makes it harder for makers of third-party database management tools to integrate support for MongoDB within their products, leaving users few options besides MongoDB's own Compass UI tool. Navicat is proud to announce the addition of their newest GUI DB Management tool - Navicat for MongoDB - to their already extensive product line. It allows users to connect to local/remote MongoDB servers and is compatible with MongoDB Atlas. Navicat for MongoDB offers many note-worthy features for managing, monitoring, querying, and visualizing data. In today's blog, we'll explore a few of these. It's never prudent to connect to remote databases over an unsecured network. That's why Navicat for MongoDB can establish secure connections through SSH Tunneling and SSL. It supports numerous database server authentication mechanisms including Kerberos, X.509 authentication and others. Like other Navicat products, Navicat for MongoDB includes the Navicat Cloud service, which provides real-time access to your connection settings, queries and virtual groups. Navicat Cloud synchronizes connection settings, queries and virtual groups so that you can share them with your coworkers anytime and anywhere. It's just one of the many ways that Navicat for MongoDB helps you maximize productivity. Unlike traditional relational databases, MongoDB uses a specialized query language to both filter and aggregate document data. Thanks to Navicat's Visual Query Builder, you don't have to learn a whole new querying language. It guides you in creating, editing and running your queries without having to worry about syntax and proper usage of commands. Code Completion helps you construct your queries faster while avoiding typos. 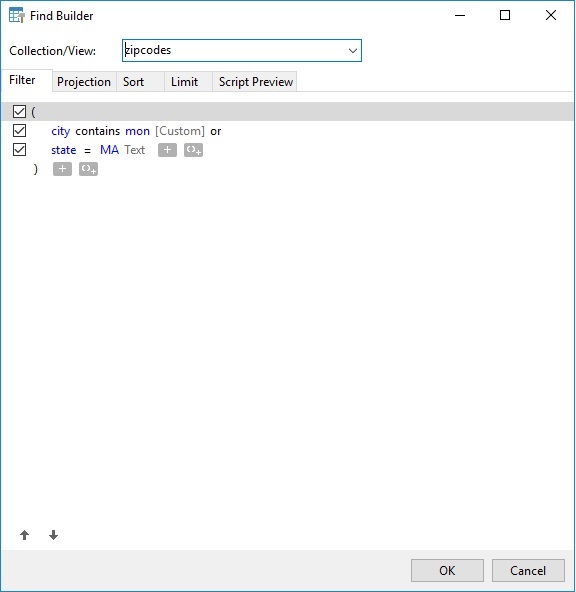 Finally, Visual Query Builder includes a number of customizable Code Snippets that you can insert directly into the editor. Aggregation queries are a special type of query that groups values from multiple documents together. 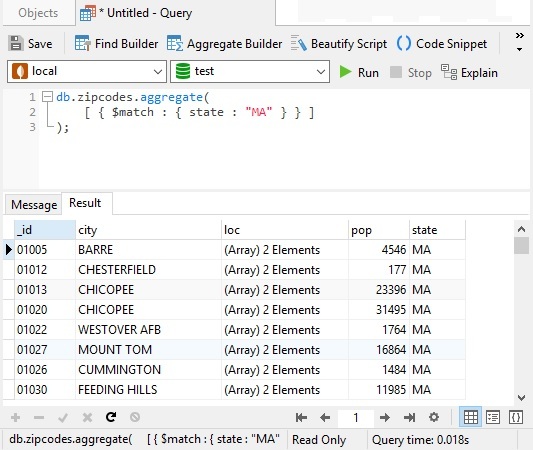 The Aggregate Builder makes constructing aggregate queries a snap. Just add expressions to the pipeline until you've got the data you need! Having the ability to import and export data to and from your databases is an indispensable feature for database administration. Using the Import Wizard, you can transfer data into an existing MongoDB collection from a diverse array of formats, including text, CSV, JSON, and XML files. 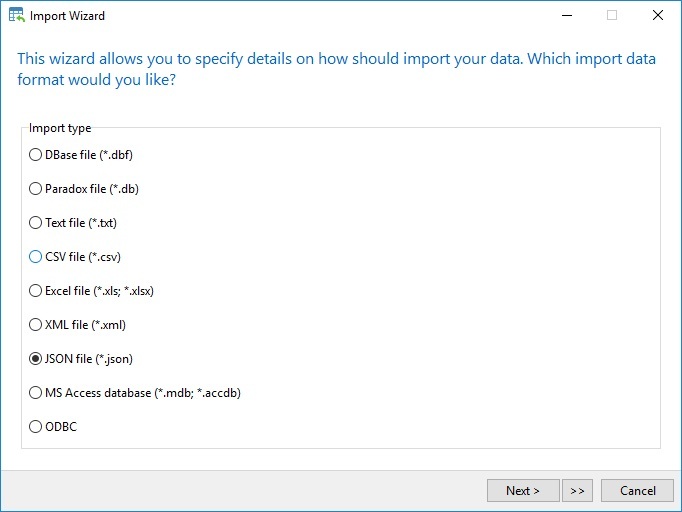 You can also choose to import from any ODBC data store over a data source connection. Likewise, data from collections, views, or query results may be exported to formats like Excel, Access, CSV and many more. At last, database administrators and developers have a powerful new option for working with their MongoDB databases. Navicat for MongoDB is available for Windows, macOS and Linux. Visit the product page for more information or the download page to try it for yourself.